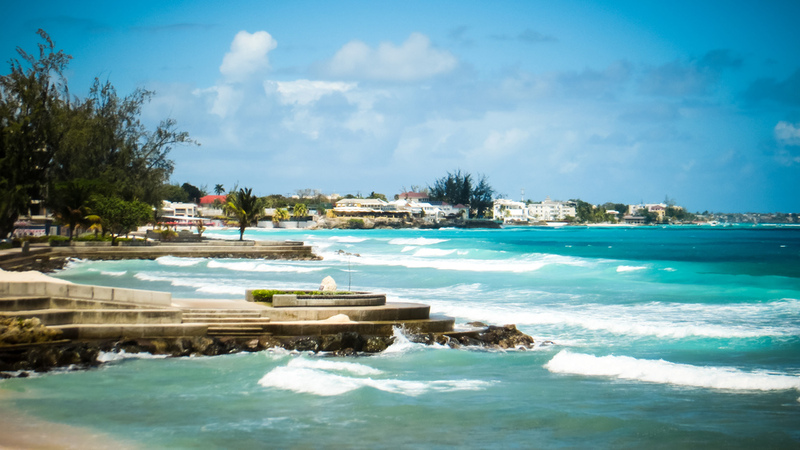 Barbados is a coral island with calm, white sand Caribbean beaches on the west and wilder waves and cliffs facing the Atlantic Ocean to the east. 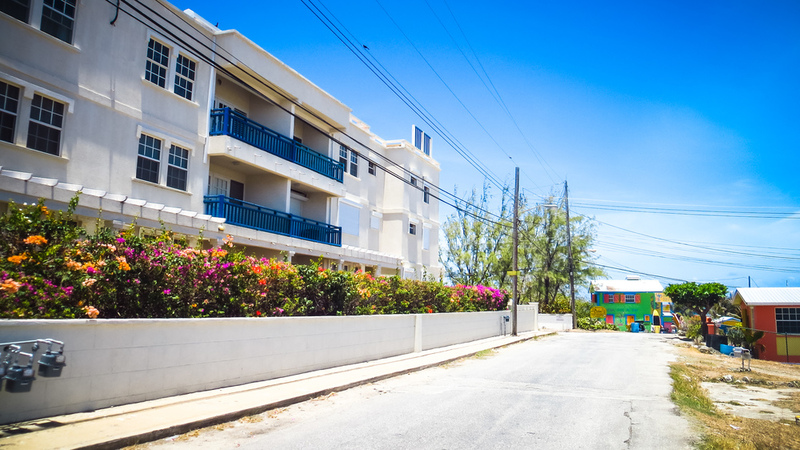 It's the southernmost and easternmost island in the West Indies chain, and therefore has the ideal tropical climate with only rare tropical storms. People have mistakenly asked me if I enjoyed my trip to Bermuda or the Bahamas which makes me think that not many people know about Barbados. That's good news, because this island is kind of the best thing ever and the less people who know it, the better. My aunt on my mom's side married a Bajan (a local native) 25 years ago and has lived here ever since. After visiting once in 2001 as a shy, awkward, moody 16 year old, I never took a second thought about the island besides to think of it as the place where my aunt lived. That was until this year, where after a really dark & cold winter, highlights of which included experiencing horrible S.A.D., an emotionally rough January-April, a tonne of overtime, and the loss of my grandfather, I decided enough was enough and looked to westjet to provide me with some new options in life. 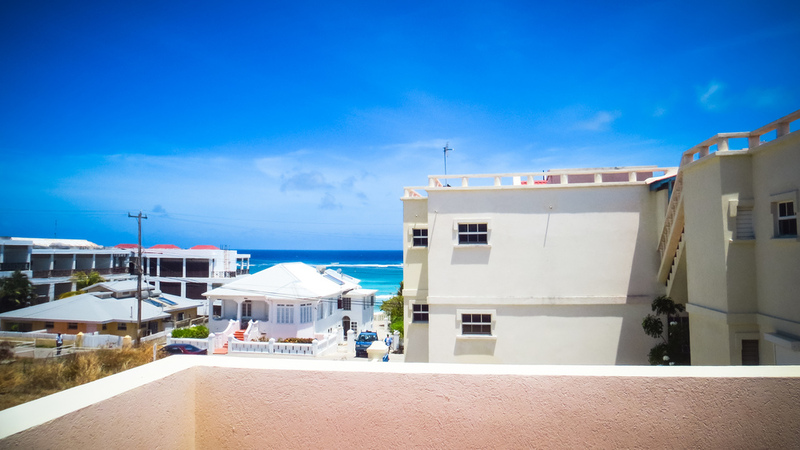 A few years ago my mom bought a small apartment on the south coast of Barbados to be close to her sister, which she hopes to retire to and rents out as a vacation property in the meantime. 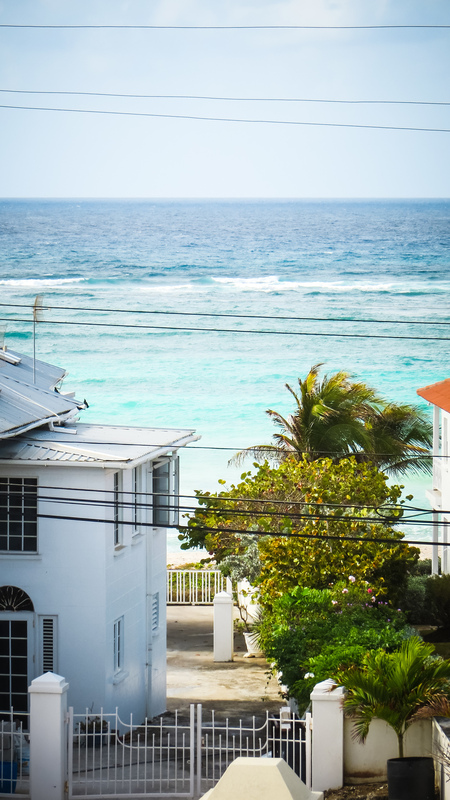 Stars aligned, I submitted a drawing set for a pretty huge deadline in one of my projects at work, and one week later I was on a plane to Barbados. What I remembered from my first trip was feeling incredibly car-sick while driving to lots of out-of-the-way 'scenic' overlooks with 4 adults, when all I desperately wanted was to get hit on at the beach and listen to my death-metal disguised as 'women and songs 4' CD on my discman. Ohhhhh, 2001. This time I was ready to explore on my own. The island is small enough that most places are easily accessed in an hour or so by car or route taxi; it's democratic and peaceful with very friendly and open locals; it's safe for women to get around on their own and has plenty of things to see and good places to eat to keep you happy for a good long while. 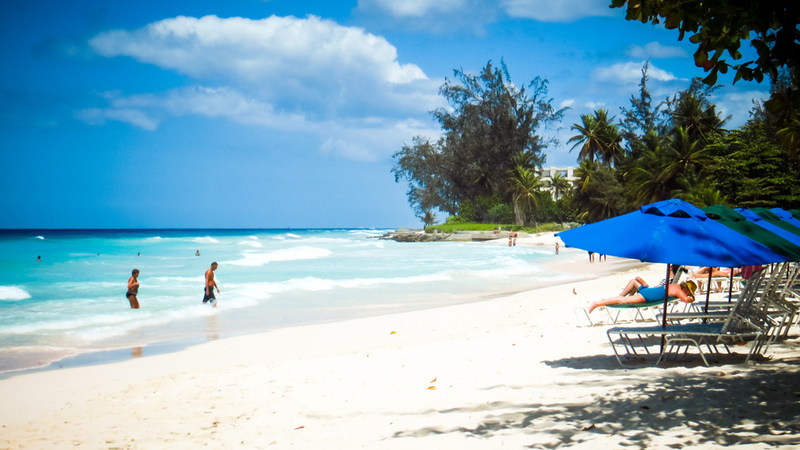 I have to admit that I'm not really a lay-on-the-beach person now, so the appeal of Barbados for me was not totally based on the concept of drinking coconut cocktails on a beach or getting spa treatments in a resort. I wanted to be able to explore some of those out-of-the-way places that I ignored when I was 16. For the same reason that you want to avoid staying near the train-station in Rome, I was totally thrilled to stay in a local neighbourhood in a self-serve apartment rather than a resort in a tourist town. Is it slightly more intimidating? Yes, but totally worth it. 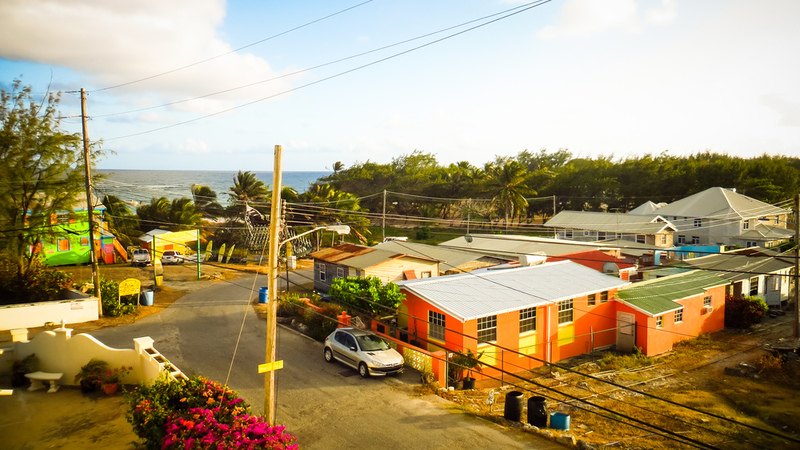 My aunt picked me up from the airport and dropped me off with a bag full of basic groceries; within an hour of landing I had already met some locals on the beach who directed me to a nearby bar where I could get a cheap bottle of Barbados rum. 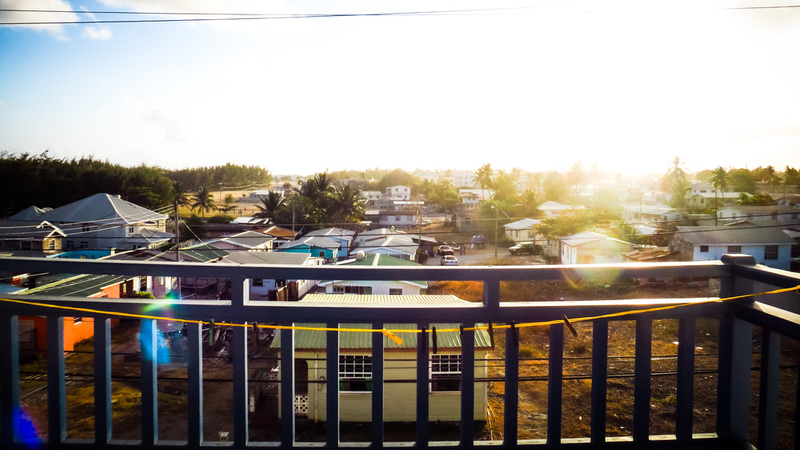 After pouring myself a neat drink, I sat back on the sun-drenched balcony to listen to the sounds of Barbados and watch the sun set. Silver Sands is technically on the Atlantic ocean, so the waves tend to be a bit stronger than the Caribbean side; the beach is pure white, soft sand. There's a small hotel/resort nearby that has a private terrace overlooking the beach, but the beach itself is totally open and quite often populated by wind surfers who take advantage of the constant winds. While I was there it wasn't quite the season for wind surfing but there were a few beginners around. Some locals who dive out to harpoon their daily catch hang around and are always on the lookout for new people to talk to. They're friendly and love to chat and give suggestions for what to do! 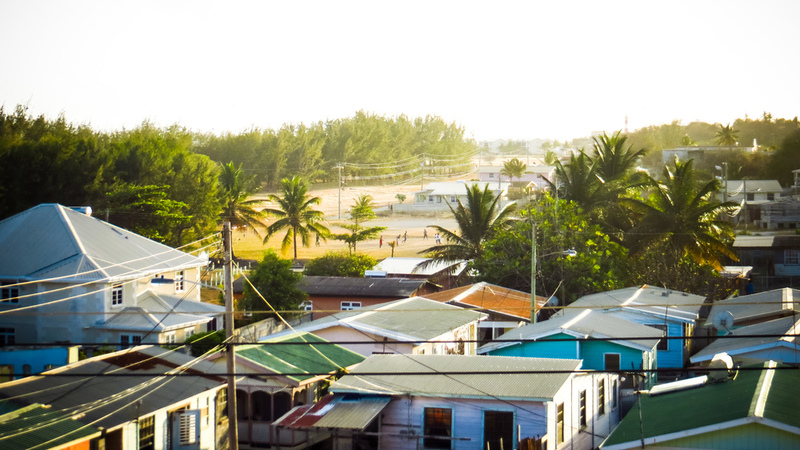 I started walking up towards the main street and stopped at a corner, asking a local who was just hanging out in the shade whether I was in the right spot for the route taxi to Accra Beach - the destination I had randomly decided on. "It stops here?" I asked, a little anxiously. With a shrug and another incredulous look, he said "No worries, no worries." Within a few minutes, a white van with a red stripe came roaring down the road, blasting reggae music at top volume. The man simply stuck his arm out and ushered me towards the van, which screeched to a stop. Someone opened the sliding door, and before I could get fully inside, the door was slammed shut and we were off. I made my first tourist faux pas of trying to pay up front and waiting for change from the driver. I observed very fast that you just get in and sit down, and pay when you get off. Everyone on the van was curious about where I wanted to go, and promised to make sure I'd get off in the right place. Mostly I just felt that people were amused by how anxious I was (though I was trying really hard to give off that 'I'm cool, I do this all the time' vibe.) After that brief learning curve I got the hang of hailing, paying, and crowding into the z-taxis, and handled myself like a pro from there on. The day was perfectly sunny and clear, it was already well past 30 degrees, and everywhere I looked it seemed that the sun had turned up the clarity and saturation on life. Greens, yellows and blues were maxxed out; the sun bleached whites to a near blinding brightness and contrast was dialed up to the extreme. The main road I was on - called various things depending on what town you happen to be driving through - was directly next to the beach for much of the way and the water was a totally improbable shade of turquoise. Behind my sunglasses I gaped in amazement at how richly varied the streetlife was. After about 20 minutes or so, I was told we had arrived at Accra Beach. Time for some R&R. Only a few minutes into setting up my towel under the shade of a grove of palms, a young man came over to strike up a conversation. Having already inured myself to the fact that, as a single lady, I was going to be approached, whistled at, blown kisses, and proposed to from the moment I exposed myself to the public eye, I had already decided on a strategy of simply accepting the fact that I am a goddess deserving of such attention. This guy was quite innocent and nice; he simply wanted to see if he could leave his shirt and car keys with me while he went harpooning for fish. Trusting folk, these Bajans. I settled into the morning, having loaded up my kindle pre-departure with the last 3 Game of Thrones books, and commenced to lose myself in the world of Westeros. After an hour or two of snorkelling between two buoys, the young man came back with a few nice looking fish. He told me he saw a barracuda for the first time in his life that morning, and that I was his lucky charm. After turning down a free driving tour around the island with him, I decided to head over to the beach bar for my morning rum and a beach photo walk. 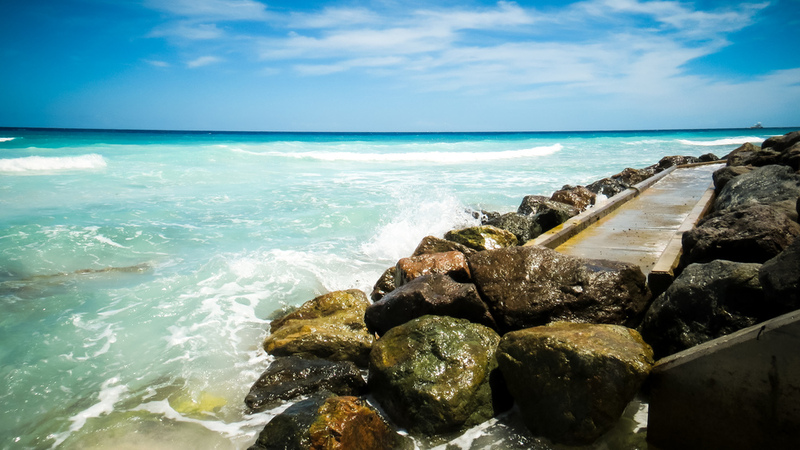 It was around this time I discovered the boardwalk that leads all the way from Accra beach to Needhams Point - where I had planned to eat lunch at Cuz's Fish Shack, famed for flying fish sandwiches. I spent the next hour and a half walking the boardwalk - stopping occasionally to cool myself in the ocean, but mostly just enjoying the chance to listen to the waves and take totally typical photos of palm trees on the beach. At Needhams Point, a beach vendor came over and asked me to eat lunch with him. When he heard I was going to the fish shack, he gave me money and asked me to get him a fish cutter (Bajan for a fish sandwich). With absolute confidence that I'd return with his sandwich instead of just walking off with his money, he went back to peddling his beach wares at the Hilton Resort beach. Once I did return, he got a bit creepy; he started asking pointed questions about where I was staying and with whom, whether I had a phone and was planning to come to the Oistin's Fish Fry on Friday night, and basically trying to get me to agree to return later that evening to come hang out with him. I saw his point, I mean, I was the youngest person on the beach in between the wrinkled retirees and the giggling 3-year-old children, but nonetheless I made my excuses and began to leave. Not before he insisted on tying one of his home-made anklets around my foot as a gift, however. I returned the same way I came, along the boardwalk, and stopped in at a cafe & juice bar in Hastings for a fresh green juice and espresso before making my way back onto a z-taxi and home for the night. The sun sets early - between 5:30 and 6 - and while I felt quite comfortable walking around during the day, I just didn't feel up to exploring the nightlife on my own. I poured myself a stiff Barbados Brigand rum and settled onto the balcony for sunset #2.